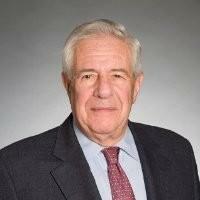 Gary Brooks has over 45 years of diversified executive management and consulting experience. He has personally counseled and provided management services to more than 200 companies. He is passionate about assisting early stage businesses to achieve profitability, arrive at sound market and operating strategies and establish a stable foundation from which to grow. Family businesses present special challenges. Gary's experience in operations management and with issues of organizational dynamics and human behavior has proven valuable in resolving family conflicts and matters of business continuity. Gary’s prior career affiliations include General Electric, Eastman Kodak and Scott Paper Company. He managed the New York office of an international firm specializing in strategic planning and technological forecasting, and founded and was the Managing Principal of a major northeastern restructuring consulting firm. He served as interim Chief Operating Officer in 23 companies. This experience has been significant in his role as an expert witness in cases in which management and director performance were principal elements of the litigation. Gary is a frequent writer to various publications and lectures often. He has also served as visiting professor at various schools of Business Administration. Currently, he teaches Financial Management and related courses at New York University. He has just completed an workshop at Lebanese American University (Beirut, Lebanon) covering topics of financial management for executives of middle eastern family business. He is a founding member of the Turnaround Management Association (TMA) and also served as Director and as National Chair of the Institute of Management Consultants (IMC). Gary has degrees from MIT and the University of Rochester (NY). Credentials include Certified Management Consultant (CMC) and Certified Turnaround Professional (CTP). He is listed in Who’s Who in America. Initial discussions are held with potential clients at no cost in order to define both the problem(s) and potential scope of work. A formal proposal is provided which defines the objective and result that should be expected from the engagement. . Usually a project fee is proposed (rather than an hourly fee) thereby fixing the financial obligation associated with the project unless ongoing consultation is called for. Example 1: $25 million wholesaler of industrial safety products. Founded by the father, now 80 years old, had to decide on a successor from among 4 brothers, all serving a key functional role in the company. The brothers have feuded with each other for many years, dramatically affecting the performance of the business. All agreed that they would leave the business once the father appointed the successor CEO. Two questions required resolution: Selection of the successor; equity value and terms of payment to the brothers upon their exit. The matters remain unresolved. The chosen successor was the youngest brother, based solely on his preferred relationship with the father. The brothers estimate of equity value far exceeds that derived by commonly accepted valuation techniques. Finally, the cash flow from operations of the business is inadequate to fund any reasonable payout post transition. Mediation and family counseling have been proposed and accepted in order to resolve the business issues, but more importantly, to insure that the family will not fracture even further. Example 2: The father/CEO of a highly profitable metal working business was prepared to appoint one of his sons as successor. With approval and encouragement of his board of directors, he decided on the older son (John), a high school drop-out but a proven, well liked VP of manufacturing. The younger brother (Tom), well educated, had been serving as VP new products and was responsible for acquisitions. On the morning of the proposed announcement, Tom, angry at being passed over, physically accosts John as they entered the board meeting. John presses charges. The business and family concerns are significant. After meeting with all key employees, customers and vendors, all suggested that the two could no longer co-exist in the company. An equitable plan was developed to give Tom one of the recently acquired subsidiaries as compensation for his equity holdings and arranged for a long term supply contract so that a viable core business could be build. Although it took almost one year of coaching and counseling, the family could finally gather together to celebrate life cycle events. 3. a program to generate revenue. - What elements in my application/resume did you find valuable for the company? Question: Can A Small Business Run on a 4-Day Work Week? Is the question: Can the staff operate on a 4 day schedule? or Can the company be functional only 4 days per week? Marc's answer is sound. Allow me to add just a couple of points. 2) Trends, opportunities and risks relate to future affairs. I suggest that you do not address these in the same meeting and with the same participants. Question: Is profitability based segmentation of clients a good idea? There should be no conflict. Your primary interest must be your end-use customer. The role of your channel members is to support and execute that strategy. Your tactics in accomplishing this mission must be designed accordingly. If the end user is not satisfied, your channel partners will perform poorly. Service businesses are very different. In general 3 areas of practice are critical to your success in addition to your service offering which I assume is top draw. Add pricing/funding; employee management and customer management to your list of concerns. I suggest you take a look at the elements of each. An experienced facilitator is critical. Your objectives are worthy, but in the absence of an open culture, the program will prove to be frustrating. A significant amount of preplanning & active involvement from the DR's in advance of the off-site are urged if you want substantive results in the 2 days. Question: How can we counter sandbagging practices during a budgeting cycle? Question: We are a private company that gives stock options to employees. How can I best engage employees in seeing its potential value? Stock options in private companies often have negative consequences. Unless there is a commitment by management and the majority equity holders designed to achieve high, rapid growth resulting in a near term sale or IPO, options, warrants or other equity instruments can be serious problems.